This book was published in 1964. 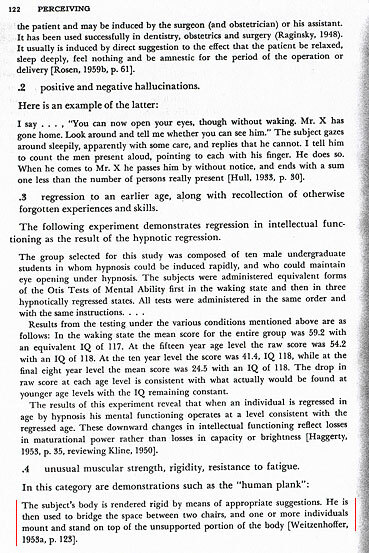 At the bottom of page 122 is a classic example of hypnosis making possible an extreme physical feat. Note the page number it will be significant later. 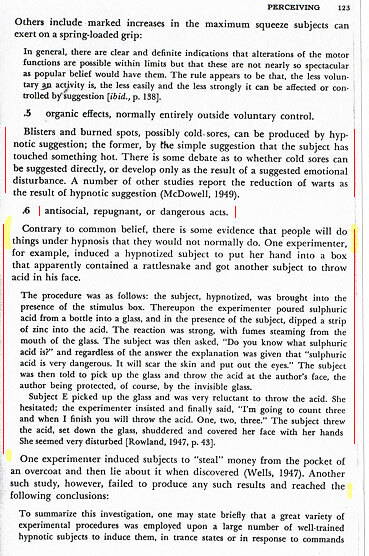 At .5 on the page below, "organic effects" state that "a number" of studies report the "reduction of warts as the result of hypnotic suggestion". This form of cellular control indicates that over time profound physical changes can be created by the unconscious mind. Warts are a condition that can be recognized and act as a trigger when seen by others. Above, .6 antisocial, repugnant or dangerous acts. The statements in this section do not take into account the effects upon children. They do demonstrate what is possible. 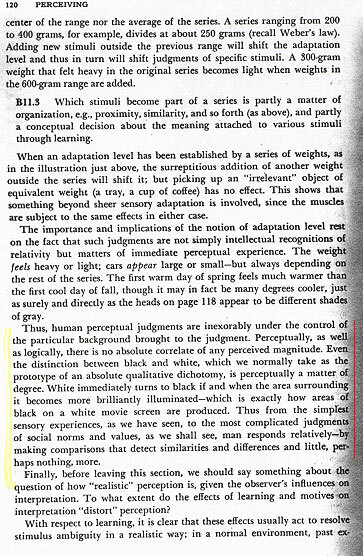 from the book, Human Behavior.